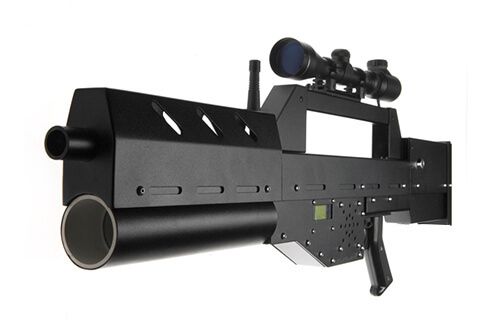 The Morita-Sniper gaming gun is a Designated Marksman (DM) class of weapon. It is a generic weapon of its class, but not unlike a 50 Caliber Sniper Rifle in that it has a 50mm glass lens (165mm focal length). This lens makes it possible to get its extra long range. Like all of our guns, it can toggle between semi-auto and fully-automatic. When you turn on the gun (also referred to as booting up) it will default to fully automatic. This is our most accurate semi auto sniper rifle ever built, because it is a light based system the gun shoots dead straight.